Domestic smartphone manufacturer Lava has introduced a new smartphone, Lava A77 in India. It’s an entry level smartphone targeted at customers looking for a budget LTE enabled device. It features a decent set of specifications like VoLTE, 8MP rear cam, and a quad-core chip-set. 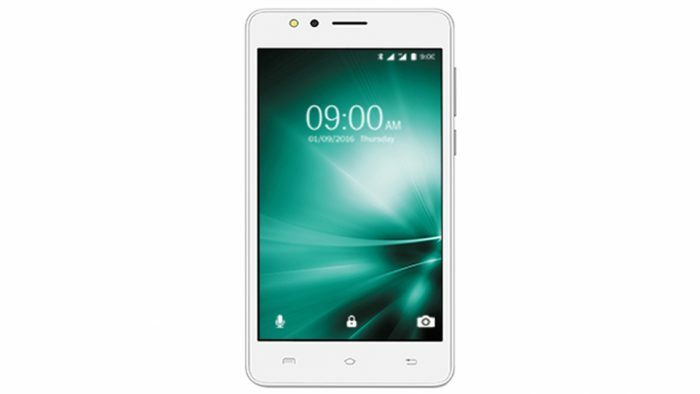 The Lava A77 is a trimmed down version of the Lava A73 which was introduced few months back. This smartphone is basically focused for selfie lovers. It features a 5MP front cam with LED flash to capture selfies. The smartphone is priced at Rs. 4,999 and will be available through all the major retail stores across the country. The Lava A77 features a 4.5 inch WVGA (480×854 pixels) IPS LCD display panel. Under the hood, it runs on a quad-core Spreadtrum SC9832 chip set clocked at 1.3 GHz. It comes with 1 GB of RAM and 8 GB of on-board storage which can be expanded up to 32 GB via dedicated SD card slot. The A77 houses a 8 megapixel rear camera with auto-focus, LED flash. On the front, it features a 5 megapixel front camera with an LED flash. The camera app comes with Geo-tagging, HDR, panorama and can shoot up to full HD videos. It is backed by a 2,000 mAh removable battery. Connectivity options include 4G LTE, VoLTE, dual SIM, Wi-Fi 802.11 b/g/n, Bluetooth 4.0, GPS, and a micro USB port. Sensors include an accelerometer, and a proximity sensor. It measures 135 x 67.2 x 9.5 mm and weighs 140 grams. The device runs on Android 6.0 Marshmallow. Lava A77 is priced at Rs. 4,999 and will be offered in Gold, Silver, and Blue color option. The smartphone will be available at all the major retail stores across the country.